EMS World’s Top Innovation Awards recognised companies exhibiting at EMS World Expo in New Orleans in October that have launched innovative new products or made significant changes to an existing product after August last year. Out of hundreds of contenders only 20 are chosen for an Innovation Award, and following a rigorous in-depth demonstration at the meeting, the judges deemed the Terason uSmart 3200T as a “True Game Changer” in pre hospital Emergency Medical Services care. Terason are not new in ultrasound in the USA, having developed and patented the first colour portable ultrasound system. Their uSmart products provide exceptional imaging capability while continuing to provide the advanced features and functionality clinicians demand. 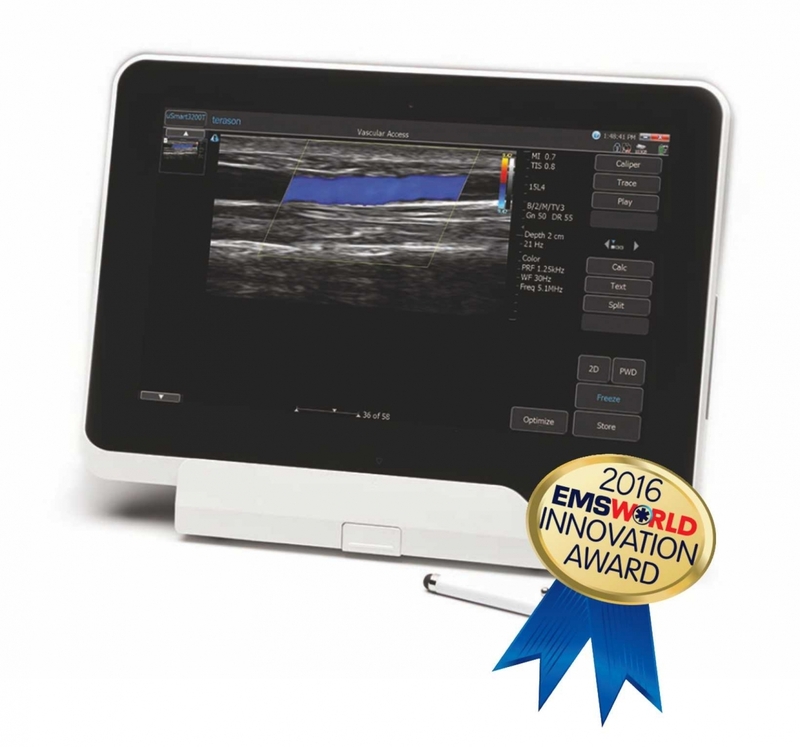 These complete ultrasound solutions optimise workflow, enhance clinical efficacy, and increase productivity for everyday clinical needs. Since Vertec Scientific took up the distribution of Terason ultrasound in the UK, the brand is gaining enthusiastic acceptance in many applications as Flexible Imaging Technology (FIT) delivers the new wave of advancements for ground-breaking, innovative ultrasound exams and superior image quality. The X-Site Transducers and DDR provide high image quality in both superficial and deep targets to further enhance clinical confidence, while an intuitive interface simplifies exams and increases productivity and patient throughput.